I got quite a bit done around the site this week. Mostly small tweaks that no one will ever see, but will help the site be more easily found. That’s always a good thing. No good having a website if I’m invisible. 🙂 I also got a few pictures up! My dear Hubby and I had a lot of fun taking the pictures over the weekend. 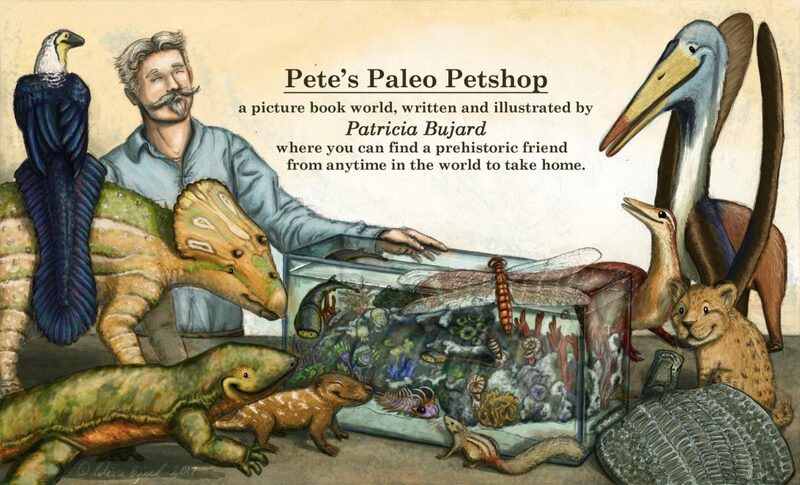 Pete’s Paleo Petshop is set in a world where you can visit the shop to meet your very own prehistoric friend. At the moment time has stopped in the Jurassic period, the “golden age” of the dinosaurs, but this is only the beginning. Over time we’ll explore every period of Earth’s history, and meet all sorts of cool critters- even plants and bacteria are amazing if you take a closer look! As a reader, I’ve always loved diving into the world. I was (and still am) a huge fan of Lord of the Rings and Harry Potter. I was the sort of girl who memorized all the spells in Harry’s spell book, tried learning Elvish, and pinched my ears in the hopes they might get just a tiny bit more pointy on the ends. 😛 True story. I have so many ideas for exploring the world! Pete’s Postcards from the shop. Get a peak into Pete’s mailbox and his weekly tips on handling your prehistoric pet. This way you won’t miss any new posts, and you’ll get a look behind-the-scenes as I work on the book. It’s always great to learn something while we’re having a little fun. So the blog will be a place we can chit chat a couple times a week about anything prehistoric or artistic. But just so I don’t get too carried away, here’s the jist of what I’ll be sharing with you. Learn about prehistoric critters, and why do they matter anyway? 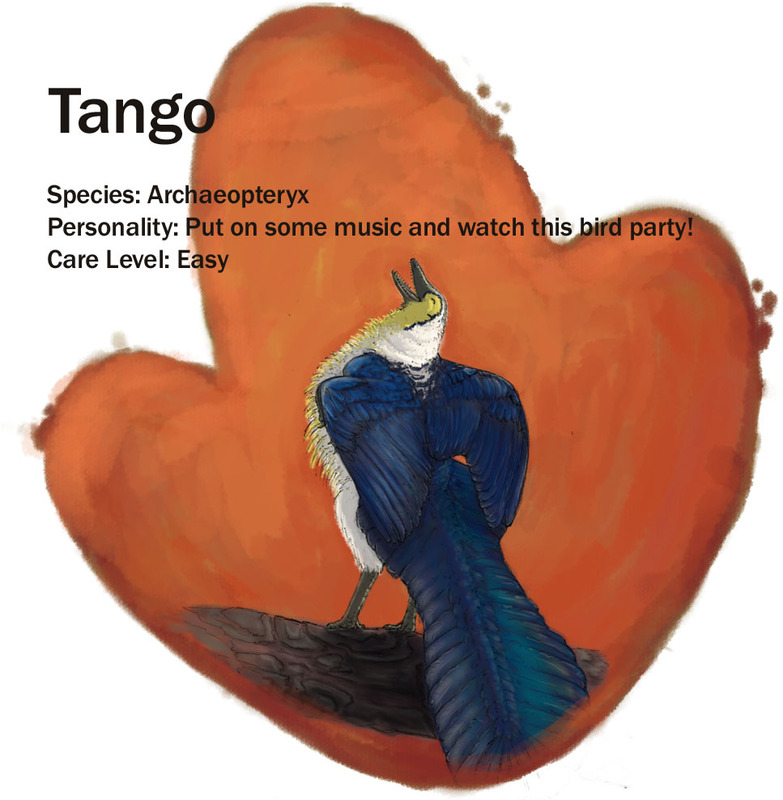 Practice art techniques, especially as they relate to paleoart. Cool stuff I find in my research. Updates on my process and (hopefully) progress as I work to success! That about sums it up. But really, I just want to create a little something that will brighten your day. There’s plenty enough darkness and despair in the world, and life is too short and precious to dwell on it. I’m not saying to ignore it entirely, but why not take joy in the beauty of life! one (hopefully two!) critter profile picture. I’m thinking…something furry, and something with flippers. Pete’s Paleo Petshop: Beta is Underway! A lot’s been going on in the past few months. I’ve been keeping things pretty quiet so far, but I can’t stand it any longer. It’s about time we get out of the shell and hatch already! Now the website is about as naked and ugly as a newly hatched parakeet, but everybody’s gotta start somewhere right? So I’ll get right to the point and tell you what I’ve been up to around here. Lots of critters on the critter page, with pictures! I still have profiles to update and pictures to add, so come back once a week to see another critter (I’m planning Mondays or Fridays, not sure yet). Home page. A peak into the shop. This picture is a messy placeholder until I can polish it up with shading and all that good stuff.